The recipe is pretty simple and there are tons of posts on various blogs on making homemade yogurt, but I noticed reading through comments that many people have a hard time getting it nice and thick without straining. The only ingredients are milk & starter culture . The culture can be either a dried culture or store bought live culture yogurt. Use a high fat milk for the thickest and creamiest results, and don’t bother with UHT milks (which may or may not work). Almost any milk should work, including powdered milk, but it may not produce a thick yogurt. This isn’t intended as a definitive guide to everything yogurt. Everyone has a different technique, different products, and equipment. This is just how I make it. If you’re anything like myself, and are interested in making your own yogurt, you’ve probably read all the basics many times and are more interested to get to the technique!! We don’t eat huge amounts of yogurt on it’s own – I probably eat it only once or twice in a week this way. There are so many uses for it in recipes, marinades, dips, etc. that it’s worth having on hand – but I don’t need a gallon or even a litre at a time. So I’ve made a smaller batch using only 2 cups of milk. This way, I know it will get eaten up (except the little bit I stored separately as a starter for the next batch!). This is an important step in order to kill off any unwanted bacteria in the milk. Use a dairy thermometer . 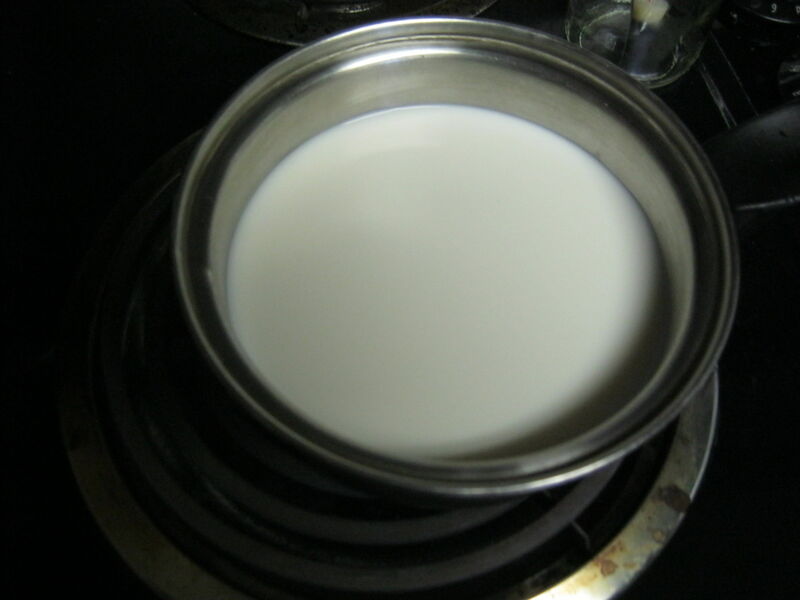 Once the milk has reached 180F, remove pot from heat and place in a cold water bath to quickly cool the milk. No need for ice water, just a little cool water from the tap brings the heat down very quickly. When the temperature reaches 110F it is time to inoculate your milk. If you’re using a dried culture, follow the directions on the package. Pour the milk into a sterilized 1/2 pint jar. If you’re using store bought yogurt, add 1 tbsp. live culture yogurt to the milk. Just let it slide into the milk, DON’T STIR. Top jar with lid to just finger tight. 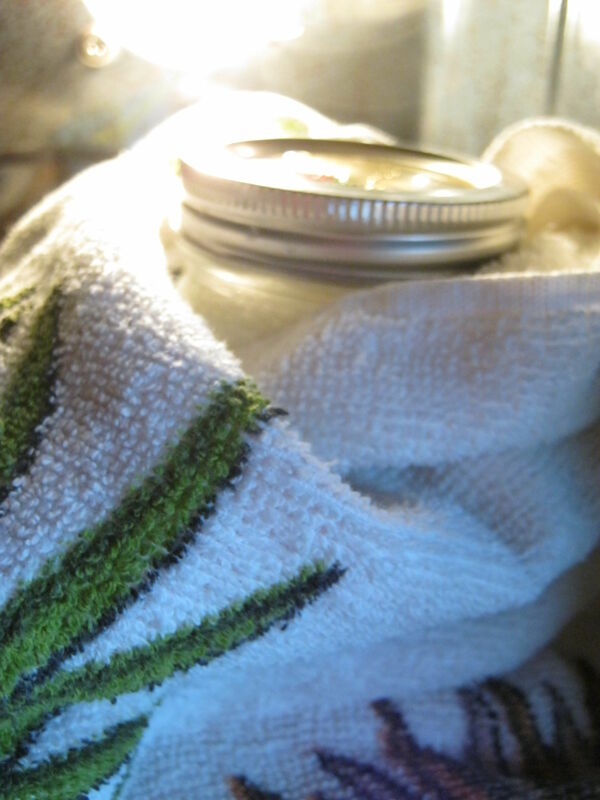 With as little movement to the jar as possible, wrap it with a towel to insulate it. Place it in your oven with the light on and door closed. Immediately transfer to the fridge (don’t agitate yet!) for at least 2 hours where it will continue to thicken. Make it even more awesome by whisking for several minutes, straining off some of the whey, and/or adding flavorings. Have you made yogurt at home? This looks so delicious and creamy! I love yogurt! I so love yogurt ..
You make it look so easy. Thanks for sharing!